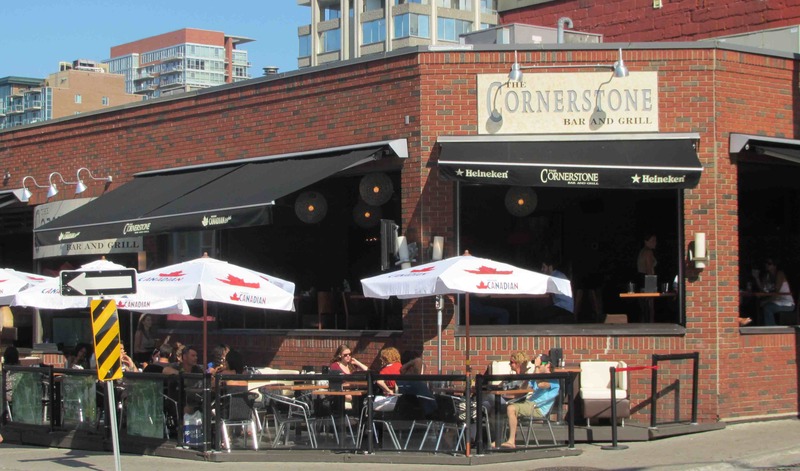 When I arrived at Cornerstone it was not quite 5pm and the afternoon crowd was just beginning to thin out. The only seats available on the patio were sitting in direct sunlight and, as it was still very hot, I went inside where it was just about empty. I took a seat and after about ten minutes, when the sole waitress finally appeared, I ordered a beer and waited. Fifteen minutes passed and the waitress returned only to start clearing away another table but without bringing my beer. At that point, I was not yet getting too impatient and I just happened to spy a table on the patio open up that was nicely shaded by an umbrella. I told my waitress that I was moving went out and grabbed the table. There were three waitresses working on the patio, which was almost empty by now. One was chiefly occupied at the far end but two – one blond and one brunette – both seemed to be covering my area. The brunette, I noted from my seat inside, had delivered the bill to the couple that had so recently vacated my current table. 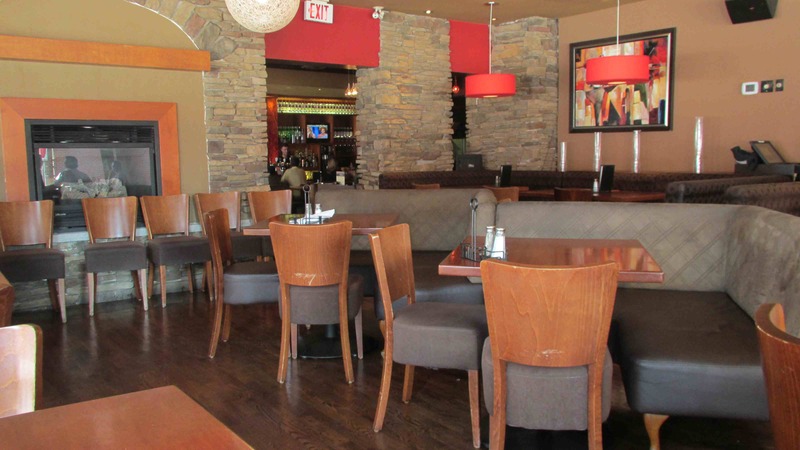 For a good twenty minutes, I watched both waitresses at my end of the patio clear a few tables and saunter around without ever once acknowledging my presence, delivering me a menu, or even advising me that they would be with me shortly. I tried sitting with an attitude of hopeful expectation and endeavored to catch the eye at least one of them but I might as well have been invisible. The annoyance finally reached a crescendo when the brunette, having cleared all the remaining tables, stood idly in the doorway of the place staring off into the distance as though the place were empty. Well who knows? After several minutes more of being an unseen fixture in the view of the waitress in question I had had enough. I went in to the bar, paid for my beer and left. I freely admit that, faced with poor service I can be a little impatient, but this place really takes the cake. It’s is a rare occasion when I have left a restaurant before ordering a meal but this place was so egregiously bad that it left a bad taste in my mouth (despite not having eaten). I can only presume that Cornerstone is doing so well financially that they can afford not to bother with providing good service to their customers. It is probably just as well for them, if that is the case, because they certainly won’t be getting any of my money any time soon! You should send a copy of your review to the manager. Obviously, the place has some issues. That is shocking. I’m always very sad to hear stories about horrible service. I hope that you had a meal that day that made up for the disappointment! This is the kind of stuff that ends up on Gordon Ramsey’s Kitchen Nightmares! What an unfortunate experience.